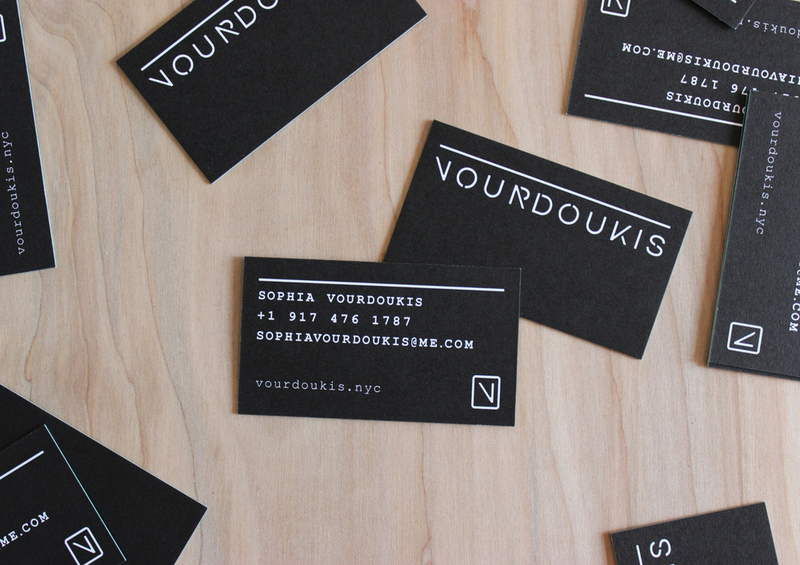 NYC-based post production studio and consulting group, Vourdoukis Studio came to me needing a new identity. From concept to completion, they offer a full range of digital services that deliver the most visually stunning imagery in the creative advertising world. With a super impressive client list and such sharp imagery, we wanted to go a specific route with this one. We created a wordmark and a supporting submark, both utilizing the angles of the upright V throughout. We carried that branding onto some simple and clean edge-painted business cards.